Jolly Fish Press, 9781631630507, 344pp. When 15-year-old twins Malcolm and Valentine Gilbert moved to a new town, they never imagined that the old house across the street could bring them so much trouble. Inside the old house, a secret machine with the power to pierce time has reawakened. Meanwhile, lightning storms are breaking out all over town. They're getting worse every week, and seem to enjoy striking kids who just want to pass science class and mind their own business. When Malcolm and Valentine discover a connection between the house and the storms, their situation goes from mysterious to crazy-stupid dangerous. Someone is controlling the great machine, and their purpose is nearly complete. 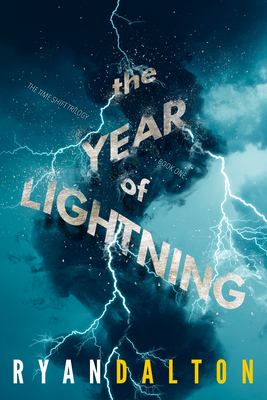 In a race against time, the twins must uncover the chilling plan, the mastermind behind it, and the force that's driving the deadly storms. They'll hunt a powerful enemy that threatens their town's existence, and the only clues are written in the sky. Ryan Dalton is a freelance writer and a writer for the board game Exile Sun. He lives in Phoenix, Arizona.